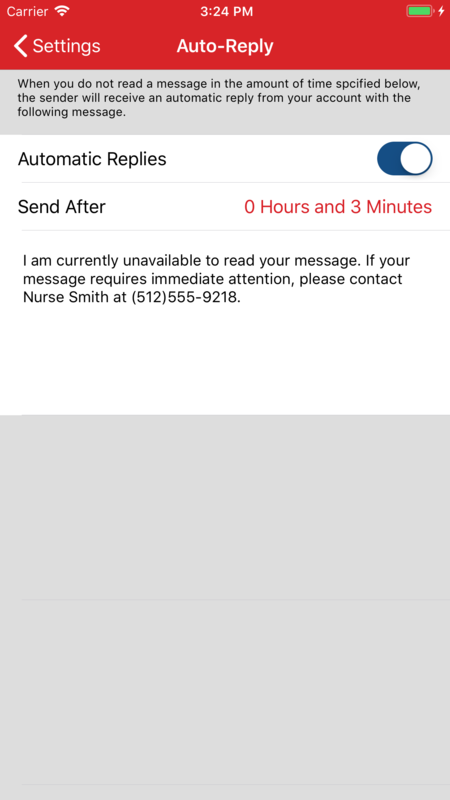 Enable Auto-Reply to proactively notify other users that you have not read their recently sent message. Your personalized message is sent to the sender if you have not read a message within the time you specify. Access your Settings menu and select the Auto-Reply line. Toggle the Automatic Replies switch to enable the feature. 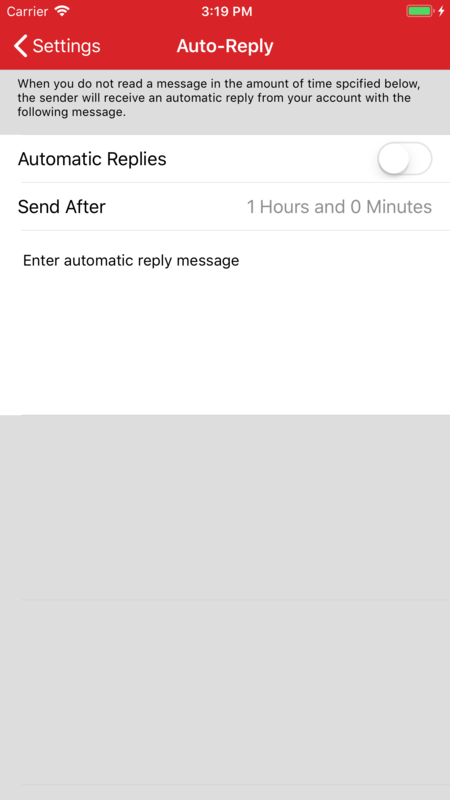 Adjust the amount of time before your automatic message is sent by tapping the "Send After" line. Tapping the message text will allow you to edit the message sent on your behalf once the time has elapsed. 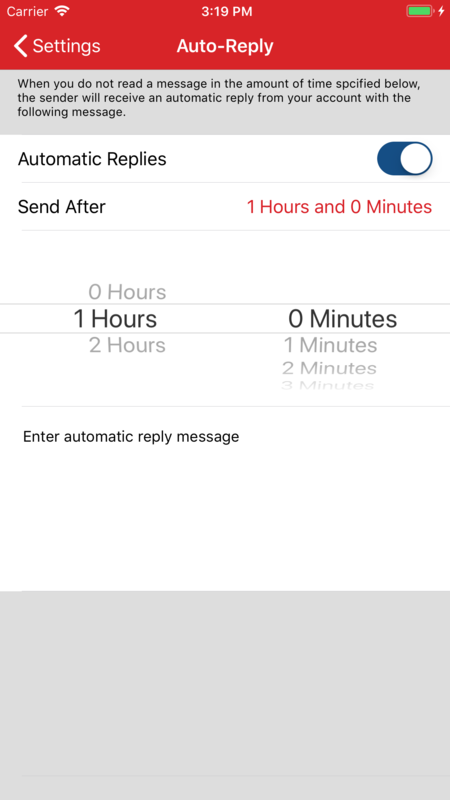 Tick the check box at the far right to enable the feature, and then set your Send After time in hours and minutes, and the Message Text you wish to send after that time. 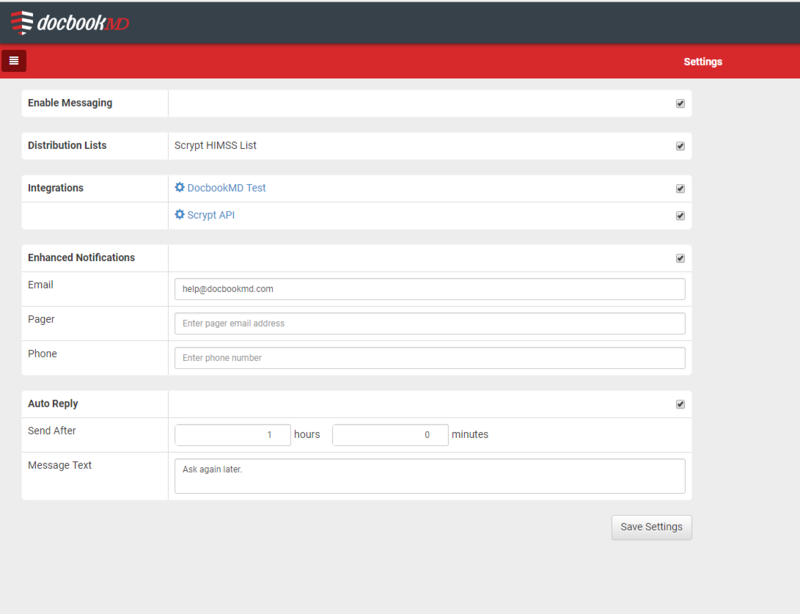 Click the Save Settings button to finalize the changes.